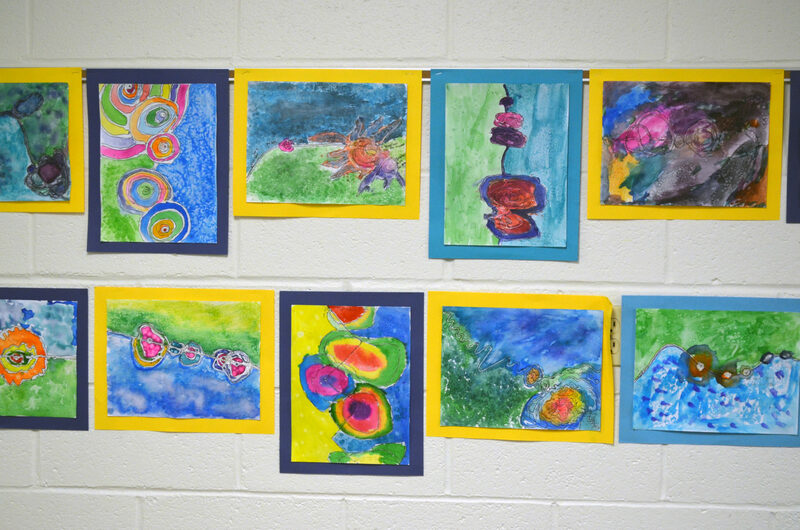 At all educational levels, the arts is integral to an LM education. Creatively taught, the arts can be a pathway to learn about, or reinforce the learning of, many subjects such as history and geography — even mathematics and science. Lancaster Mennonite provides a range of artistic, musical and dramatic skills, appreciation and opportunities that nourish creativity and a deeper understanding of God and the world. Art is an integral part of education at the New Danville Campus and is used to reinforce teaching many other subject areas such as history — even mathematics and science. Students learn about culture and history as they study art through the ages. 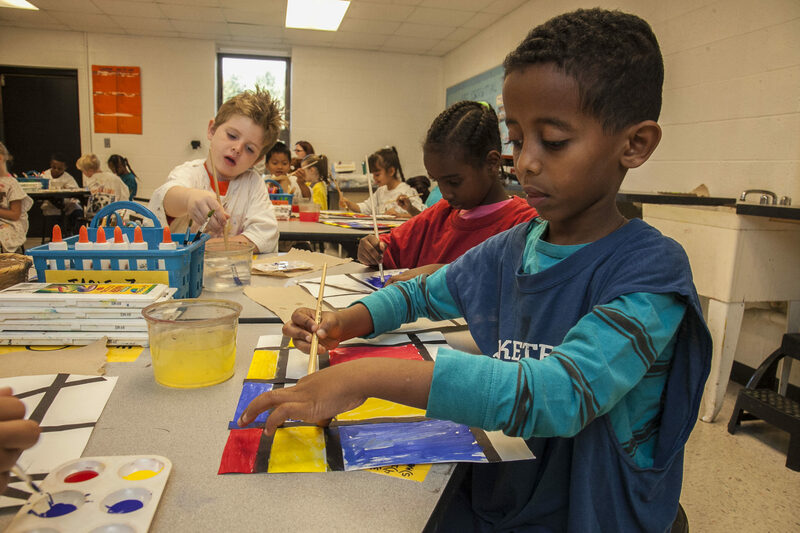 Art classes are offered for students in kindergarten through fifth grade, taught by a certified art teacher. Students have Art class for K-5 1x/week and Makerspace 1x/week. 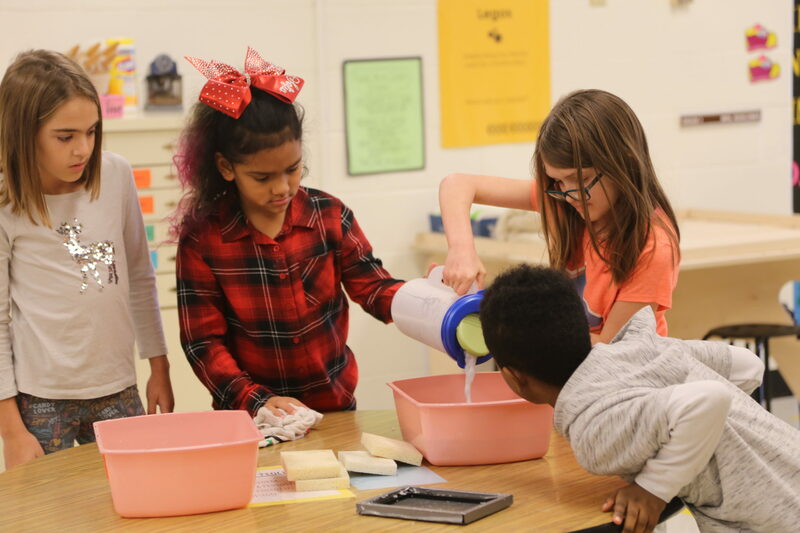 The MakerSpace gives students the opportunity each week to work through the design process as they collaborate, innovate, tinker, create, build, prototype, and problem solve real world problems. 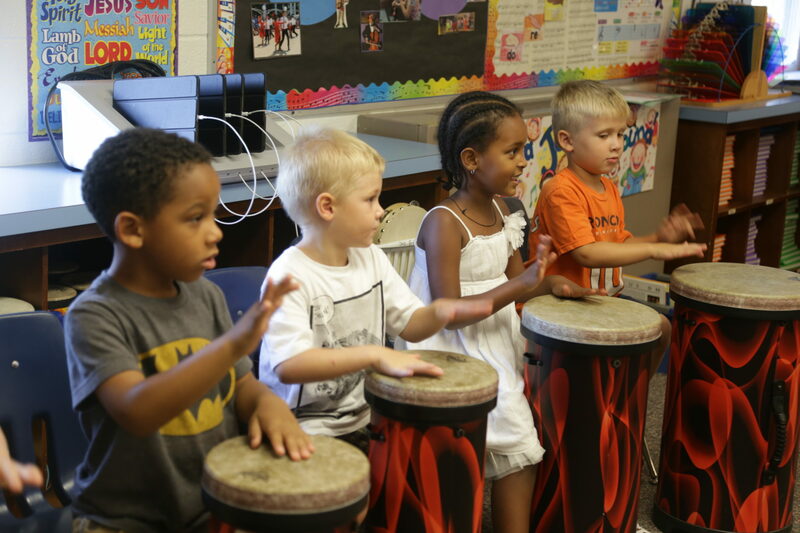 Music classes at New Danville encourage students to find and use their singing voices and natural rhythm, the unique instruments with which God has blessed them. Students develop music reading, writing, composing and listening skills, both individually and collectively. Composed songs, folk songs, worship songs and hymns allow students to sing Anabaptist theology as well as experience music from around the world and from across time. A program of Lancaster Mennonite School as a service to the community, MCCL offers both auditioned and non-auditioned choral opportunities for children in grades 1 through 12. Singers do not need to attend Lancaster Mennonite School to participate.